What a difference a week can make. 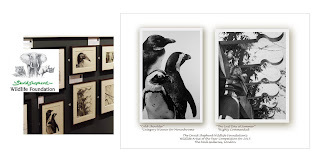 Today's posting, exactly a week after posting the link to the on line view of all the works included in this year's Wildlife Artist of the Year competition of the David Shepherd Wildlife Foundation in Britain, word arrived that "Cold Shoulder", one of three pieces of mine (shown hanging during the awards reception last night) received the win for the Monochromatic category. "The Last Day of Summer" was also noted with High Commendation by the jury. The show opened to the public today and runs through July 4th at The Mall Galleries in London. I am thrilled, to say the least. If you can be in London this week, stop in to see some great art. I'm pleased to have three works included in this year's edition of the David Shepherd Wildlife Foundation's Wildlife Artist of the Year exhibition and sale which will take place later this month at The Mall Galleries in London. The show is on line now at the link above, so take a look at some wonderful art. If you happen to live in Britain, plan on visiting the show in person from June 30 through July 4. As the summer work schedule begins in the studio, I've just completed a trio of little works that won't be heading out till late August for a special September gallery event. "Stellar", a show about sky, will open September 4th at Troika Gallery on Maryland's eastern shore. 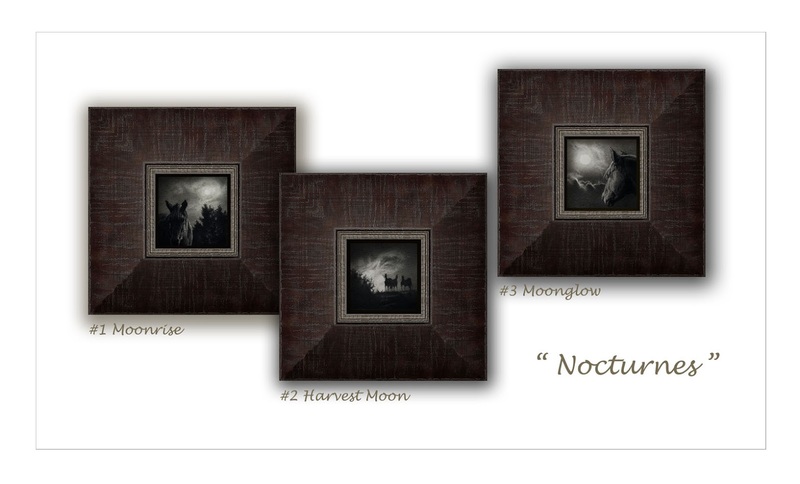 Billed as a show of 60 works, all priced at under $600 each, these three "Nocturnes" will be my contributions to the event. When asked if I would participate in the show, I had to pause and consider if I could fulfill the 'requirements' of size, price and subject. I figured why not, but had no clue six weeks ago when I agreed to do some work for it. Then, I was sitting in the studio one afternoon, listening to some CD's and . . . bingo, there was the idea! Listening to some Chopin nocturnes opened my eyes, shall we say? So, these three little works resulted from that inspiration. I believe, now, they might be just the first three of what may be a larger series of works with the same theme yet to come. 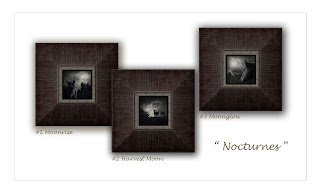 Each image is just 4" square in large, imposing yet subtle frames that measure about 12" square. I am quite thrilled to announce that I have been accepted into membership in the American Society of Marine Artists as a Signature member. It will be an honor to have my work included in future exhibitions along with that of a host of wonderful two and three dimensional masters of marine art. 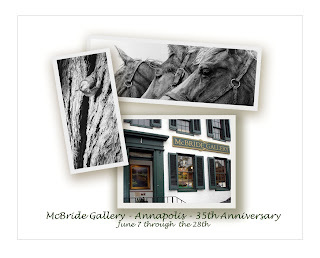 Opening this coming weekend, McBride Gallery's 35th Anniversary Show will include several new works of mine along with those of a host of other widely respected gallery artists. Two of my latest works are shown above, A Little Visit and The Line Up. 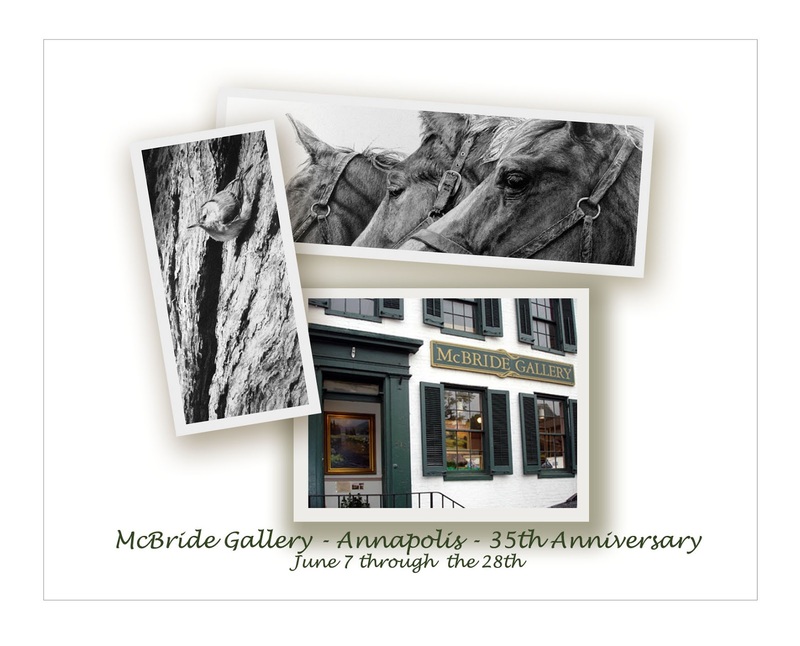 A reception will be held Sunday so if you are in the area, stop by to see some fine work.